/kawaii/ - Magical Girl *Various* thread, because why not.Always dug this aesthetic, even if it's a bit embarrassing at times. From what I've seen of Precure characters, I like Cure Gelato's design the most. Even her skirt resembles a puffy ball of ice cream. I like cure marine. She is so genki, it overloads my gekistacks. I remember when Heartcatch came out years ago. A classmate of mine really, REALLY dug it and would even do the little transformation calls. Good times. Though funnily enough, I haven't gone through a PreCure series at all, despite them being the face of transforming heroines (If we ignore Madoka). I did recently pick up and enjoy Nurse Angel Ririka, but never quite thought to site down with a PC show, despite liking the designs. Same here. 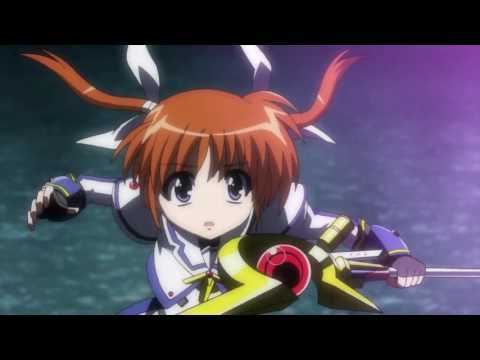 The Nanoha-Movies are worthwhile entertainment though, very good animation and thrilling story. Unlike Precure, an actual kids show where good and evil is always clearly separated, Magical Girl Lyrical Nanoha is specifically targeted to a mature audience, who appreciates the aesthetics of cute little girls beating each other up with flashy energy blasts dragon ball z style. For some reason the concept of Nanoha never clicked with me. I've heard nothing but good about it, but I never felt the need to go and watch it. Extra strange since I dig giant robots and Nanoha is full of SRW references.